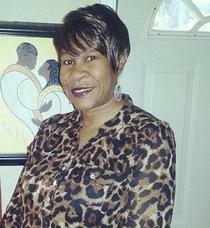 Obituary for Nadine Tisdale-Willis | Minor-Morris Funeral Home, Ltd.
Nadine (Tisdale) Willis was born on August 23, 1959 in Laurel, Mississippi. She was born the eleventh child of the late Claude and Flossie Tisdale. She departed this life suddenly on Friday, February 8th, 2019 at Silver Cross Hospital in Joliet, IL. Nadine was raised in Petal, Mississippi and she is a graduate of Petal High School. Nadine accepted Christ at an early age and she attended Piney Grove Baptist Church in Sheeplo, Mississippi until she moved to Joliet, Illinois. After moving to Joliet, Nadine met and married the love of her life Aaron (Gnone) Willis. Nadine worked in retail for many years before she became employed at Tellabs where she remained for nearly 14 years. She was currently an employee of Lowes. Nadine worked hard all of her life but in her free time she loved to decorate, cook, style hair, sew and spend time with her family. Nadine is preceded in death by her son Adrian Willis, her daughter Andrea Gaddis, her parents Claude and Flossie Tisdale. Three sisters Kressie Mae Tisdale, Lou Alice Wade, Claudia Hudson, one brother Perry Lynn (T-Bone) Tisdale. Two brother-in-laws Alphonso Wade Sr. and George Lee Wade. Three nephews Ronald, Donald, and Timothy Holmes. She Leaves to cherish her memories, her husband Aaron (Gnone) Willis, two daughters Shenonda Tisdale (Maurice), Trineicia Tisdale (Desmond), one son Aaron (Puncho) Gaddis, six sisters Willie Pearl Wade, Leola Jordan (Bobby), Fay Blackmon (Don), Elaine Northcross, Linda Fitzhugh (Larry Rich), Deborah Tisdale (Frank), two brothers James Tisdale (Sheryl) and Antonio Tisdale (Joyce). Five grandchildren Jeremy Tisdale, Jaya Tisdale, Taja Simpson, Adrian Crayton and Daneia Gaddis. Special friends Charlene Pointdexter, Sharie Route, and Ruby Smith and a host of nieces, nephews, brothers and sisters-in-law, cousins, other relatives and friends.